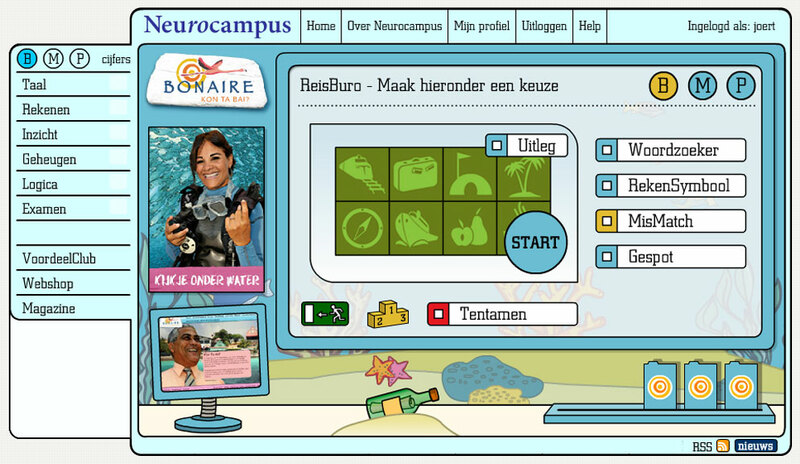 Neurocampus is a Dutch website created where everyone can play brain-training games free of charge, all do the focus is on the 45 to 65 age group. This site is being sponsored by several big Dutch companies who are interested to reach this age group. After a year of research and designing it launched in September 2007. And now counts 250.000 (June 2013) enrolled students, the biggest university in Holland. More and more people realize the importance of keeping fit. Not only your body but also your mind will be an important factor growing to an healthy old age. 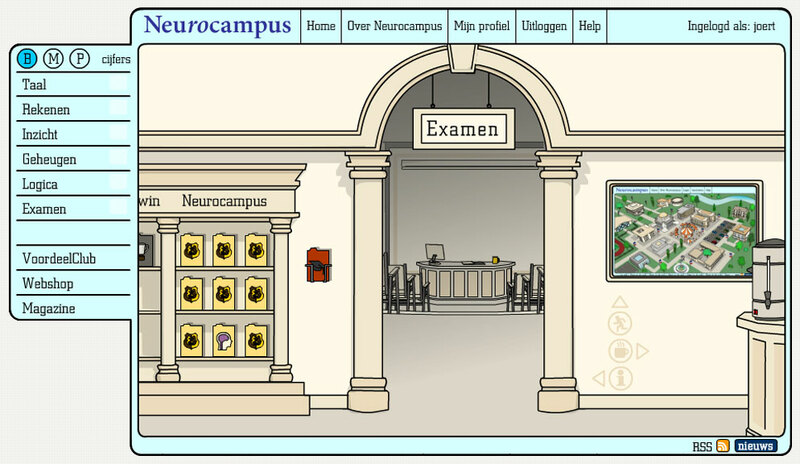 The website was designed as a real campus, above you can see the entrance to exam room. If students are ready they can test their brain to reach the higher levels Bachelor, Master and PhD. 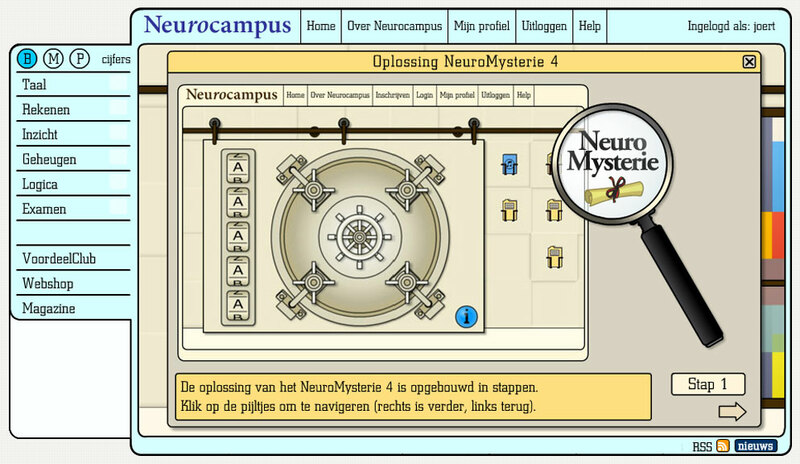 The Neuro Mystery was my own idea to make a more challenging brain-training adventure trough the campus. The students always waited in anticipation for a new mystery. Besides the main faculties there are sponsored faculties like the Travel theme. 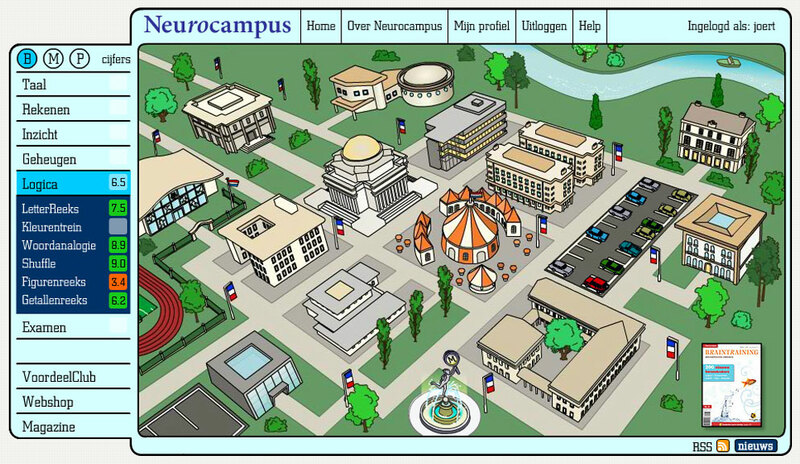 This is Neurocampus business model.